According to the BRPTO, the technical fields eligible for this new phase encompass: energy, machinery, audiovisual technology, telecommunications, digital communication, computer technology semiconductors, all of them already part of Phase I of said PPH program, and, additionally, new technical fields such as materials and metallurgy, agrochemicals, polymers, microorganisms and enzymes. As stated in the BRPTO-JPO PPH technical guidelines (available here), the following IPC codes shall be encompassed by the new phase of the BRPTO-JPO PPH Program. All requirements necessary for participation on Phase II shall be listed in a new rule to be issued soon by the BRPTO. Applications first filed at the JPO or BRPTO claiming IT related inventions (specific IPCs listed in Rule #184/2017). A new rule establishing Phase II is expected to be issued soon. EPO November 30, 2019 Applications first filed at the EPO or BRPTO claiming chemical or medical technology related inventions (specific IPCs listed in Rule #202/2017). Drug-related inventions are not included. SIPO January 31, 2020 Applications first filed at the SIPO or BRPTO claimingchemical, measurement, packaging and IT relatedinventions (specific IPCs listed in Rule #209/2018).Drug-related inventions are not included. 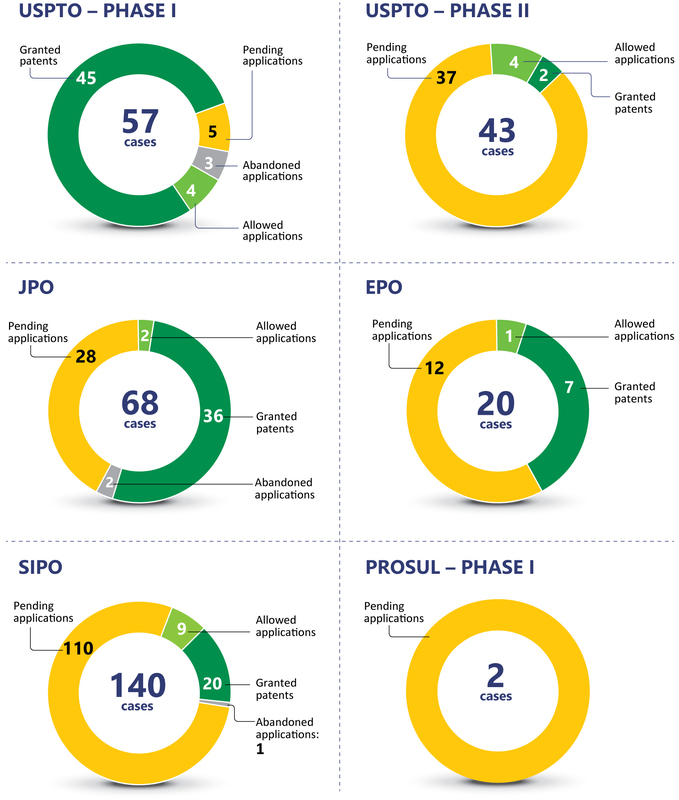 UKIPO July 31, 2020 Applications first filed at the UKIPO or BRPTO claimingBiotech and IT related inventions (specific IPCs listedin Rule #222/2018). Drug-related inventions are notincluded. PROSUL June 30, 2019 Applications first filed at one of PROSUL (AR, BR, CL,CR, EQ, PY, PE, UY) members. Phase II established byRule #224/2018. DKPTO August 31, 2020 Applications first filed at the DKPTO or BRPTOclaiming Engineering, Lighting, Heating, Weapons andExplosives related inventions (F# IPC as determinedby Rule #223/2018). Drug-related inventions are notincluded.